American Trucking Associations filed the appeal March 28, after the U.S. District Court of Rhode Island announced the lawsuit’s dismissal March 19. 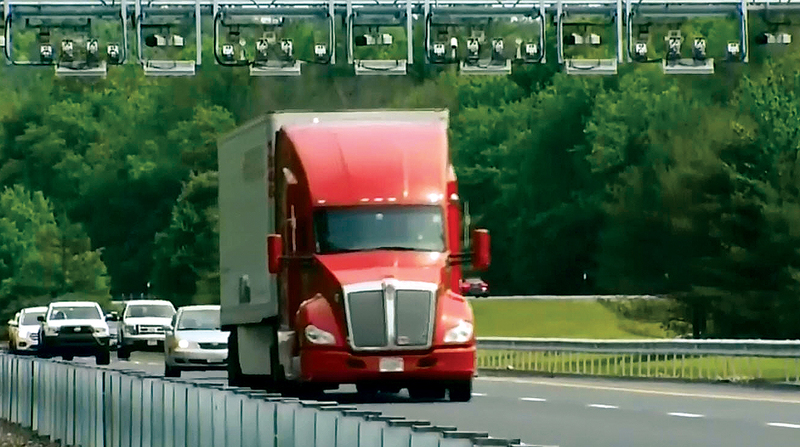 ATA’s lawsuit contesting the constitutionality of truck-only tolling was filed jointly with Cumberland Farms Inc. and M&M Transport Services Inc. on July 10. New England Motor Freight also was part of the lawsuit but has since declared Chapter 11 bankruptcy protection and shut down operations. Chief Judge William Smith’s decision concluded that the case needed to be heard in the state’s court system. ATA and the carriers are appealing his decision on the grounds that the case was dismissed on a technicality and claim that the district court did not address the lawsuit’s merits. The federal court’s dismissal marked a victory for Rhode Island Department of Transportation Director Peter Alviti, who in August had filed a motion to have the lawsuit dismissed. In his plea for the suit’s dismissal, Alviti cited the Tax Injunction Act and the 11th Amendment of the U.S. Constitution. The Tax Injunction Act restricts the power of federal district courts to prevent the collection or enforcement of state taxes. The 11th Amendment states that the country’s federal judicial power shall not be construed to extend to any suit in law or equity, commenced or prosecuted against one of the United States by citizens of another state, or by citizens or subjects of any foreign state. The truck-only tolling system is part of Raimondo’s RhodeWorks program, which is projected to generate $4.7 billion to finance infrastructure projects such as bridge replacements and road improvements. According to RIDOT, about 22% of the state’s bridges are structurally deficient. The first two (of an eventual 13) truck-tolling gantries in Rhode Island became operational June 11. They are located in Hopkinton and Exeter, which are on the state’s border with Connecticut. ATA’s lawsuit argued that truck-only tolls discriminate against interstate commerce. If a state charges a user fee for access to channels of interstate commerce, that fee has to be a fair approximation of use and cannot discriminate between in-state and out-of-state interests.